On April 17 2014 the Institute of Museum and Library Services (IMLS) held a public hearing at the Martin Luther King Jr. Memorial Library in Washington, D.C. to examine the need for high-speed broadband in the nation’s libraries. The event coincided with Library Week and also the release by the N.T.I.A. of 3 case studies of the effects of BTOP funding on libraries. The program comprised 3 panels – 1) The Vision: What happens when we get it right? This panel explored innovative practices and partnerships and new strategies that have the potential to serve individuals and communities well. 2) The Data: Panelists explored what we know about broadband connections and services in America’s libraries. What are the metrics that were needed to assess whether sufficient connectivity is in place? What are the metrics that could be used to assess success? 3) Moving Forward: a session for exploring solutions for sufficient connectivity in libraries. 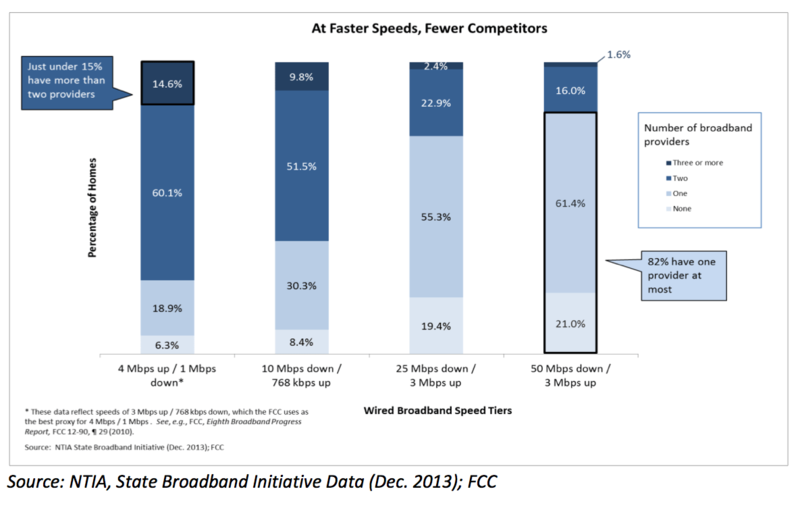 Amongst those testifying was FCC Chair Tom Wheeler who is actively pursuing E-Rate reform. Video is below. Closed captions are available. On March 16-18 2014 the Council of Chief State School Officers (CCSSO) held its 2014 Legislative Conference. In a session on March 17, FCC Chair Tom Wheeler and FCC Commissioner Jessica Rosenworcel addressed the education leaders on E-Rate reform. In pursuit of President Obama’s ConnectED Initiative which includes a commitment to connect 99 percent of all students to high-speed broadband within 5 years, last July the FCC launched the reform effort aka E-Rate 2.0. The proceeding has to date garnered 1800+ comments. In her remarks on Monday Commissioner Rosenworcel Chair Wheeler emphasized the urgency of reform noting that, currently, E-Rate does not even cover W-Fi. He said the FCC had identified $2 Billion of funding to spend over the next two years, solely on improving schools and other anchor institutions’ Internet connections. He announced the formation of a USF Special Strike Force to insure “there is adherence to the rules and the people’s money is wisely spent.” Video is below. Closed captions are available. On Tuesday January 14 2014 the D.C. Circuit Court issued its ruling on the the FCC’s Open Internet rules aka Net Neutrality. The same day new Federal Communications Commission (FCC) Chair Tom Wheeler issued a brief formal statement, but also posted a lengthy feisty blog post Ensuring an Open Internet Now and for the Future. Two days later he made the same points more concisely as part of his keynote at the Minority Media and Telecommunications Council’s Broadband and Social Justice Summit, which was carried live on C-SPAN. Video is below.